FLETCHER, EDWARD TAYLOR, architect, surveyor, author, and civil servant; b. 20 May 1817 in Canterbury, England, son of John Fletcher, a captain in the 72nd Foot; m. 21 Oct. 1846 in Christ Church, Montreal, Henrietta Amelia Lindsay, daughter of William Burns Lindsay, clerk of the Legislative Assembly of the Province of Canada; they had four boys and three girls; d. 1 Feb. 1897 in New Westminster, B.C. Upon his father’s appointment to the customs office at Quebec, Edward Taylor Fletcher immigrated to Lower Canada with his parents. Despite his youth, he retained an indelible recollection of his arrival at Quebec on 20 Oct. 1827, as his memoirs show. The Fletchers lived first on Rue du Palais (Côte du Palais) and then moved to Mount Pleasant, a hamlet on Chemin Sainte-Foy, near Quebec, which was inhabited almost exclusively by members of the English bourgeoisie. Edward began attending the Reverend Daniel Wilkie*’s private school in December 1827. Five years later he became a residential student at the Petit Séminaire de Québec, where he attracted attention by his taste for literature and where he developed his poetic talents. In 1838 Fletcher went to work for architect Frederick Hacker, a cousin who was close to his family and was also from Canterbury. He learned the rudiments of the profession from Hacker before becoming his clerk and later his partner. 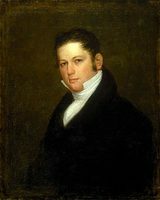 Fletcher’s career as an architect was short-lived, for around 1841 he turned to land surveying. He was, however, involved in the construction or renovation of a number of important buildings in the city of Quebec, including the Congregational church (1840) at the corner of Rue du Palais and Rue Sainte-Hélène (Rue McMahon) and the former court-house, as well as several opulent stores and residences belonging to prominent members of the English-speaking community. Fletcher entered the employ of the Crown Lands Department on 21 Dec. 1841. He received his surveyor’s licence on 7 March 1842 and began a long career that lasted until his retirement in 1882. He was soon called upon to play an important role in the development of the Canadian surveying profession. In 1849, under a provincial statute that instituted a much more severe regulation of surveying, a board of examiners [see John Knatchbull Roche*] was set up at Toronto and Fletcher was appointed its secretary. 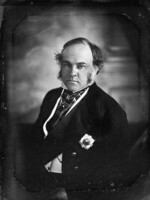 He spent little time in Upper Canada, however, since the board was divided into two separate parts in 1851 and he became secretary for Lower Canada. The members of these bodies were responsible for examining candidates. It was no doubt because of Fletcher’s expertise in mathematics that he was invited to fill the position. During his second career, Fletcher did not have much private practice and worked mainly for the government. He seldom did land surveys and signed only a handful of survey plans. His duties consisted in checking and certifying work carried out by other surveyors. In 1846, for example, he had to copy plans, diagrams, and instructions for surveyors, and perform various administrative duties. During the 1860s he held the titles of chief surveyor, draftsman, and inspector of surveys, titles suggesting that he worked in an office. He was, however, involved in some large-scale projects that took him to almost every region of Quebec. He had a hand in the process of verifying the boundary between Lower and Upper Canada. Because of the ambiguity created by the Constitutional Act of 1791 this boundary, which stretched from Lake St Francis to the Ottawa River, had to be surveyed several times, beginning in 1859, and it was finally settled in 1862. The following year Fletcher explored the Saguenay region with a view to marking out a highway between Saint-Urbain and the Baie des Ha! Ha!, which was intended to facilitate communication with the rest of the province. He was appointed deputy surveyor general of the province of Quebec in 1878, replacing Joseph Bouchette the younger, and he held this office for four years. Early in the 1880s surveyors’ organizations began to be formed in Canada with the goal of regulating the profession, members of which were engaged in numerous lawsuits arising from lack of technical competence and the absence of legal status. Fletcher helped set up the organization which was incorporated as the Land Surveyors of the Province of Quebec in 1882, and was secretary from its inception until his retirement in 1885. He sat on its board of examiners during the same period. Fletcher is better known, however, for his contribution to 19th-century Canadian literature in English. He had an incredible facility for languages and could speak and write several, including French, German, and Italian. He also had some knowledge of Greek, Latin, Hebrew, and Sanskrit. A scholar in his own right, he devoted much of his time to writing and to literature. Under various pseudonyms he wrote for the Quebec Mercury (1834), the Quebec Transcript (1838–39), and the Literary Garland of Montreal (1838–51). In 1857 he published Essay on language (Toronto). For several years he was president of the Toronto Literary Association. He was active in the Literary and Historical Society of Quebec and gave many talks to its members, including “The twenty year’s siege of Candia” (1855); “The lost island of Atlantis” (1865); and “Notes of a journey through the interior of the Saguenay country” (1869). He also published works in poetry, The lost island (Atlantis); a poem (Ottawa, 1889; 2nd ed., Ottawa, 1895) and Nestorius; a phantasy (Ottawa, 1892). An amateur musician, Fletcher played the cello. He liked chess and was known as a keen sportsman, a crack shot, and a fencer. As a collector, he kept in contact with Quebec artists, including Joseph Légaré*. Being more interested in history, literature, and the arts, he did not become involved in politics. However, at the time of the uprisings of 1837–38, like most other citizens of British origin, he enlisted. Although as a member of the Quebec Engineer Rifles from February 1838 he took little part in events, he nevertheless agreed with the British élite about the causes of the rebellion. In his view it was the work of trouble-makers who had exploited the poverty of the people, and it had delayed political progress for a long time. At the end of his life, Fletcher still found it unacceptable that the Patriotes had received compensation in 1849 for their losses in the rebellion [see James Bruce*] whereas nothing had ever been done to reward or thank the citizens who had defended the crown. Edward Taylor Fletcher continued to live at Quebec after his retirement. In 1887 he moved to British Columbia to be with his children. He spent the remainder of his life with them, first in Victoria and then, for the last five years, in New Westminster. ANQ-M, CE1-63, 21 oct. 1846. NA, MG 29, C26; Cartographic and Architectural Arch. Division, NMC-27270, NMC-44106–8, NMC-44609–11. Daily Columbian (New Westminster, B.C. ), 1 Feb. 1897. “Arpenteurs du Bas et Haut Canada, 1764–1867,” BRH, 39 (1933): 728. Literary and Hist. Soc. of Quebec, Index of the lectures, papers and historical documents . . . , 1829 to 1891, comp. F. C. Würtele and J. C. Strachan (Quebec, 1927). Morgan, Bibliotheca canadensis. Wallace, Macmillan dict. Watters, Checklist of Canadian literature (1972). N. L. Nicholson, The boundaries of the Canadian confederation (Toronto, 1979), 100–1. J.-R. Pelletier, Arpenteurs-géomètres, un siècle, 1882–1982 (Québec, 1982), 1–6. A. J. H. Richardson et al., Quebec City: architects, artisans and builders (Ottawa, 1984), 301, 308. D. W. Thomson, Men and meridians: the history of surveying and mapping in Canada (3v., Ottawa, 1966–69), 1. Assoc. of Ontario Land Surveyors, Annual report (Toronto), 1935: 131–34. Gilles Langelier, “FLETCHER, EDWARD TAYLOR,” in Dictionary of Canadian Biography, vol. 12, University of Toronto/Université Laval, 2003–, accessed April 19, 2019, http://www.biographi.ca/en/bio/fletcher_edward_taylor_12E.html.